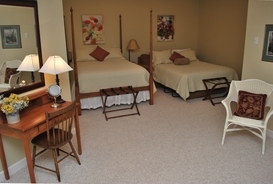 The lower level has one queen bed and one very comfortable queen sleep sofa. 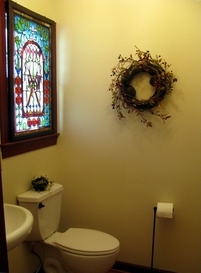 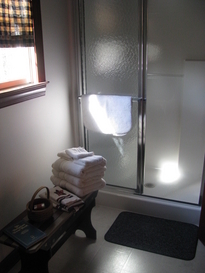 It also has a full bath with a walk-in shower and is located off the crop room. 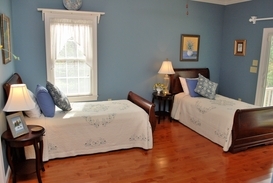 The main level has 2 twin beds and a full bath with soaking tub and shower. 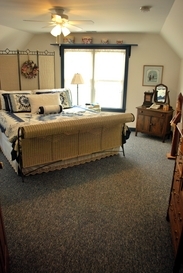 This bedroom also has private access to the lovely screened-in porch and is located off of the kitchen. 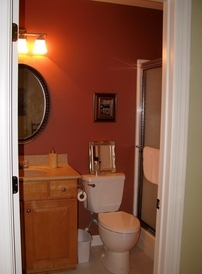 There is a powder room on this level as well. 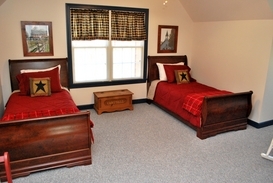 The upper level has 2 bedrooms - one with a king bed and the other with 2 twin beds. 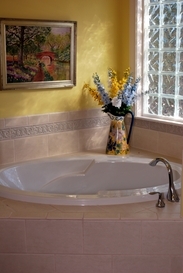 A full bath with walk-in shower is located between the bedrooms.